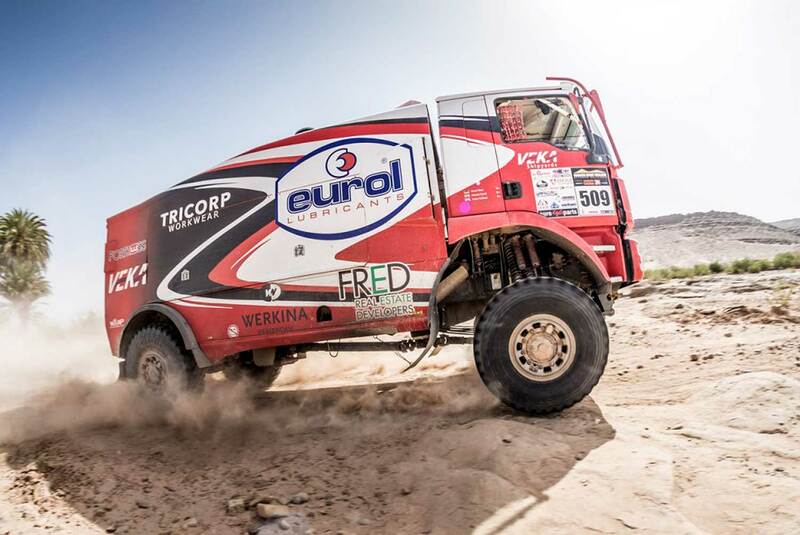 The first two days of the Morocco Desert Challenge were not in favour of Peter Versluis. 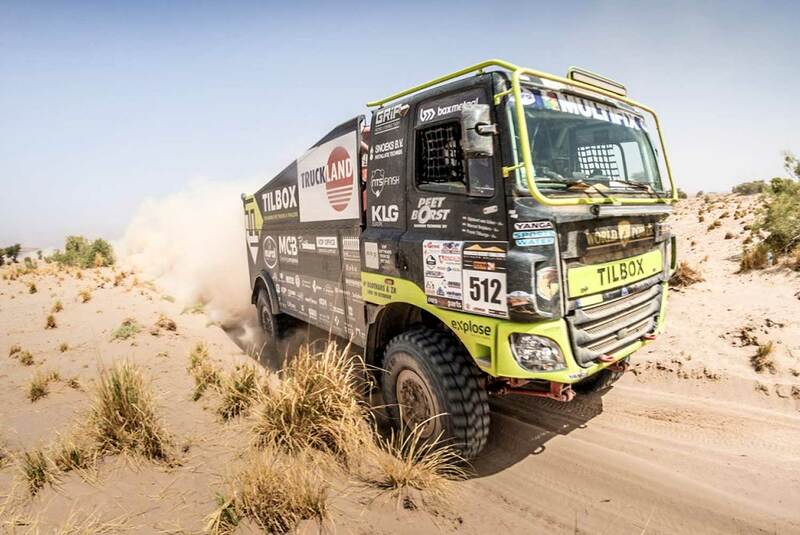 On the third day, in a very varied stage of 335 kilometers to Mhamid, the Dutch Veka MAN crew of Peter Versluis, Artur Klein and Marcel Pronk found their rhythm again. 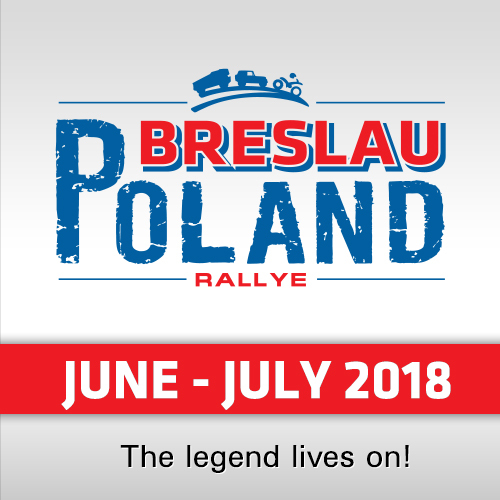 He finished with +17:43 minutes second behind Ales Loprais (Tatra, 04:19:27) in front of Martin van den Brink (Renault, +39:04), Karoly Fazekas (Hungary, Scania, +53:44) and Janus van Kasteren (NL, Renault, +54:52). "This stage went much better than the previous two," Czech Ales Loprais said after the stage. "Less stones - fortunately - and some dunes: Very varied and changing landscapes. The first part was very nice. We could make a good speed. Ferran has navigated perfectly, which is worth a compliment, because it was very difficult. Because Martin van den Brink was having problems, we had to open the track in the dunes. They were not that big, but it was very soft sand. I am happy with this victory, because it means we overtook Van den Brink in the rankings." Peter Versluis was happy with the second place: "The first two days were not very kind to us. In the first stage, we had a puncture on a stone that was hidden under water and yesterday navigator Marcel Pronk was so sick that we could not really go for it. However, today it went very well. Before the lunch stop (at km 148), we had two small navigational errors, but otherwise it went fine. We drove well in the dunes and on the last stretch, with fast tracks and some small dunes, we made up a lot. In any case, today we have eliminated the penalty of an hour that we had received because we drove too fast at a CP. In the rankings, we do not stand a chance anymore." "I do not count on others to get into troubles or make mistakes so much that we can make up for almost two hours. 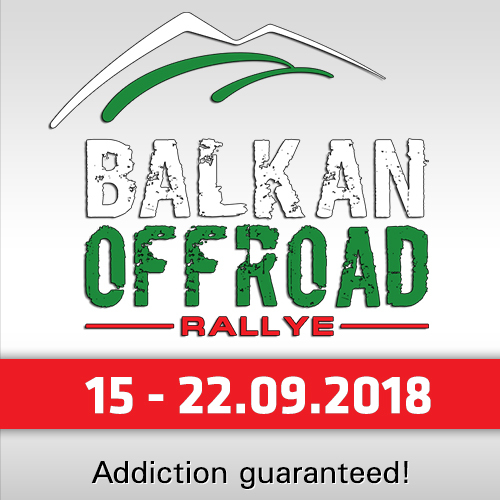 In any case, it is good to have a serious rally again. 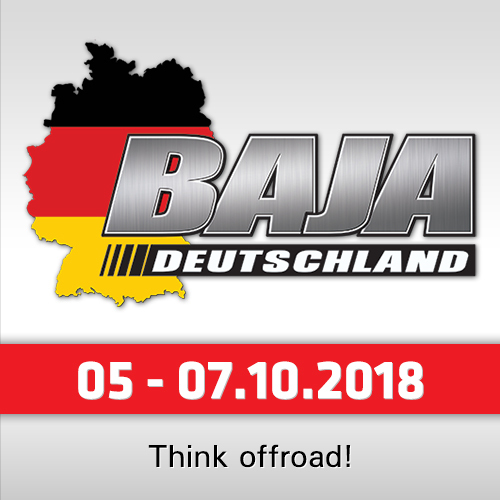 It has been since the Dakar last year. 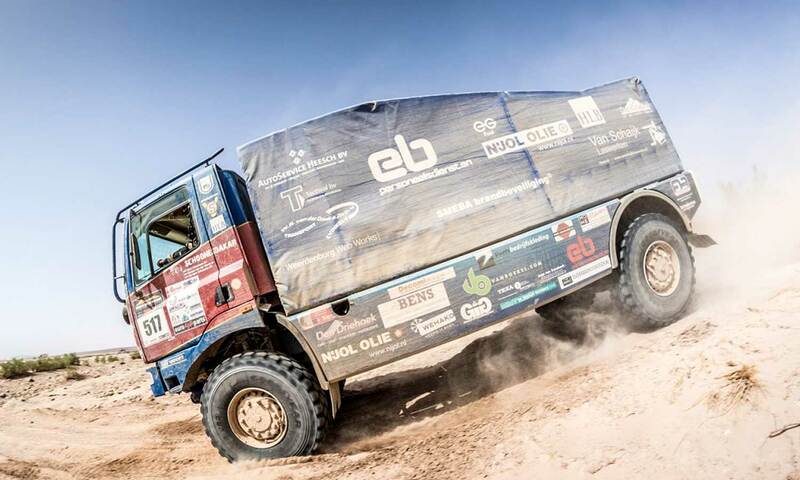 For the coming Dakar we want to be back. With this truck but in an improved version, because we will not get the new truck ready in time." Renault-Pilot Martin van den Brink reported: "Until the lunch stop we were in the lead, but then we lost 45 minutes because the bolts of the right front wheel had run out. Then you barely get the wheel off and the new one hardly gets on. Very unfortunate, because in terms of driving this stage went very well. We are now 19 minutes behind Loprais. I do not get nervous about that. We can still catch him."